February 11th in Wordpress Plugins by Wordpress Jedi . In the past few years, we have covered a whole host of extensions, scripts, and themes that let you use WooCommerce to build a killer e-commerce website. Most modern online stores allow shoppers to compare products before making purchases. With Compare Products with WooCommerce, you can add such functionality to your website. 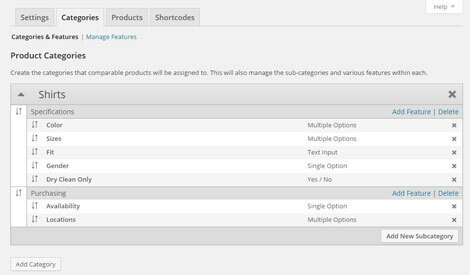 The Compare Products plugin allows your visitors to compare products side by side in a table. You can add, modify, and delete categories conveniently in the backend. 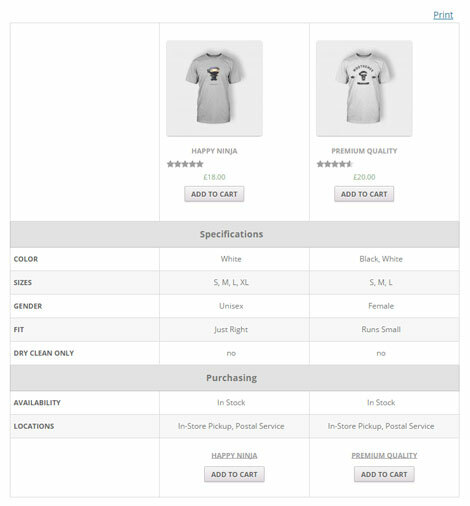 Visitors will be able to see features for each product and add items to their cart from your comparison table. This WooCommerce extension was developed by an Elite Author.